Exclusive! A classic patchwork pattern in an array of pretty colours. 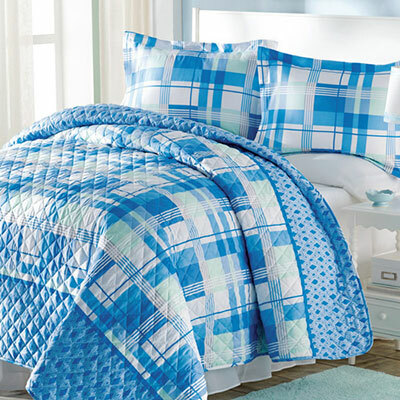 Soft, easy-care polyester microfiber Perfect Plaid Quilt Set with polyester fill. Machine wash. Imported. Machine wash. Imported.